Ciao Divas! How was your weekend? Don't we just love the word weekend which symbolizes relaxation? A pampering spa day in the weekend is a great treat which can gear up anyone for the coming week. It was my birthday early this month and Diva Likes team sponsored a spa visit for me. I can't thank Lavanya and Diva Likes team enough for this wonderful gift. 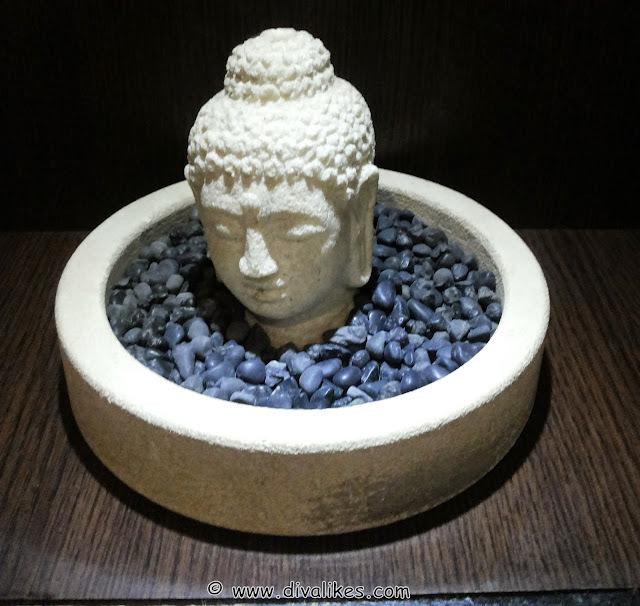 I got a chance to visit The Four Fountains De-Stress Spa, Jayanagar branch in Bangalore. I was delighted to know about the booking when Lavanya told me. I actually felt like a true diva who has all the right to be treated like one. 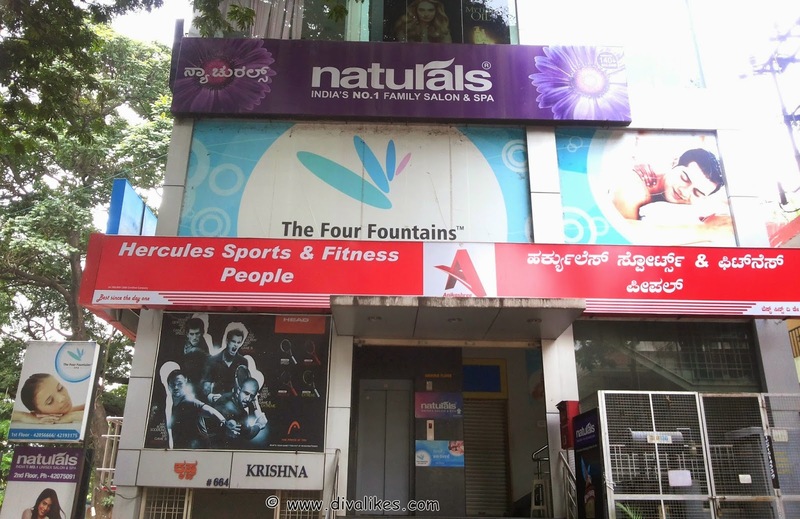 As soon as I came to know that I was going to visit The Four Fountains Spa, I googled to know more about it. I reached their official website and as I clicked on the Jayanagar branch, I got to know all the services offered by them. They cater detailed explanation of the process and products with prices for all the services and packages, thus making it convenient for us to choose from. I was really looking forward to the experience as I hadn't experienced a body spa since quite sometime. 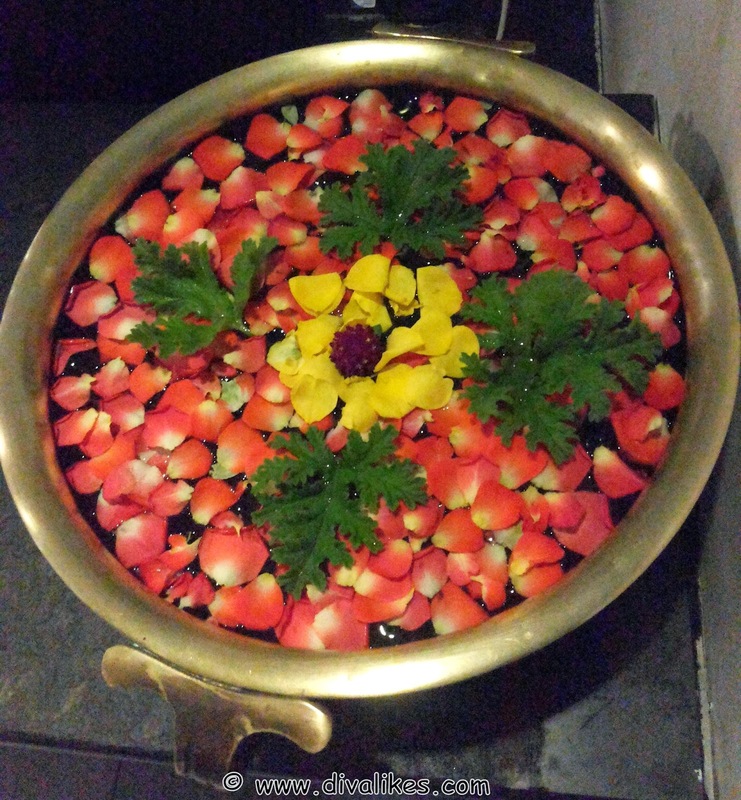 Read on to know about the wonderful experience I had at The Four Fountains De-Stress Spa! 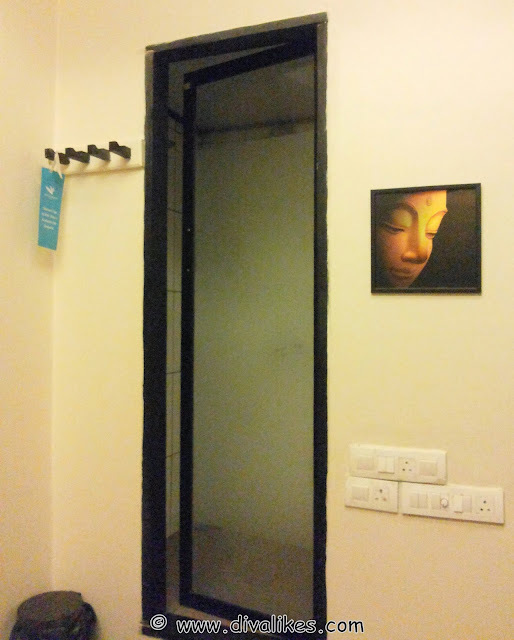 It was easy to reach The Four Fountains De-Stress Spa in Jaynagar as it located on the main road just before the JP nagar 2nd phase signal. I had my appointment on Friday at 4 PM and I was on time like a good girl. 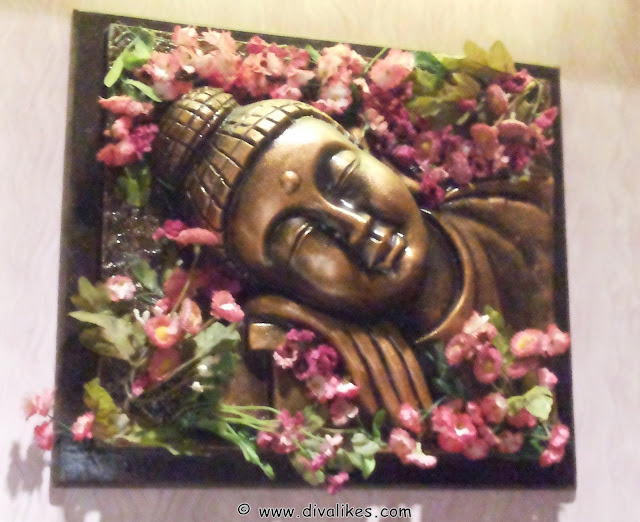 I got into the lift to reach the spa and as the lift door opened, I saw a Buddha sculpture. I smiled and told myself that I am in the right place. As soon as I pushed the spa door, I noticed that the door handle was designed to work on the palm stress points and this was really impressive. The interiors included many Buddha sculptures which depicted a peaceful theme overall. The spa had a calming and soothing environment with a friendly staff. They explained me the oils and scrubs they use for various services. After careful consideration from a long list of services and advise from the helpful staff, I decided to go for the oil based Aromatherapy Massage (Radiating). The actual price of this massage is 1899 INR on weekends and 1699 on weekdays. Followed by my selection of massage, I was requested to wait till they get the room ready for me. It took around 8 minutes for that and in that time they took my stress level test which was much more than what I expected. I guess I need to go back to kick boxing or something of that sort to let go of my stress! Aromatherapy Massage is a gentle massage that uses Wheatgerm, Jojoba, Almond and extra virgin Olive oil to give you soft, glowing skin. It was just calming to be in that room for the session. The amazing thing about the massage rooms is that they have been given names like "Calm", "Energy", "Life" etc. The rooms are dimly lit and have soothing instrumental music playing adding to the fabulous ambience. My massage therapist was Miss Nirupama and she was extremely good at her work. The massage was relaxing and whenever I needed extra or little pressure my therapist followed my instructions perfectly. The therapy lasted for 60 minutes and it came across to me as 60 minutes of nirvana. I found the price to be really worth for the quality of therapy they provided. There was a shower area attached to the massage room and hair dryer was available on request. Also, there was a storage cabinet to keep belongings with moisturizer to use post shower. After a refreshing shower, I felt even more relaxed. When I was heading out, I was greeted by Miss Vanaja from the courteous staff and was provided a complimentary de-stress massage cream and guide for stress-free living. I sipped some healthy tea and made my way out happy and relaxed. 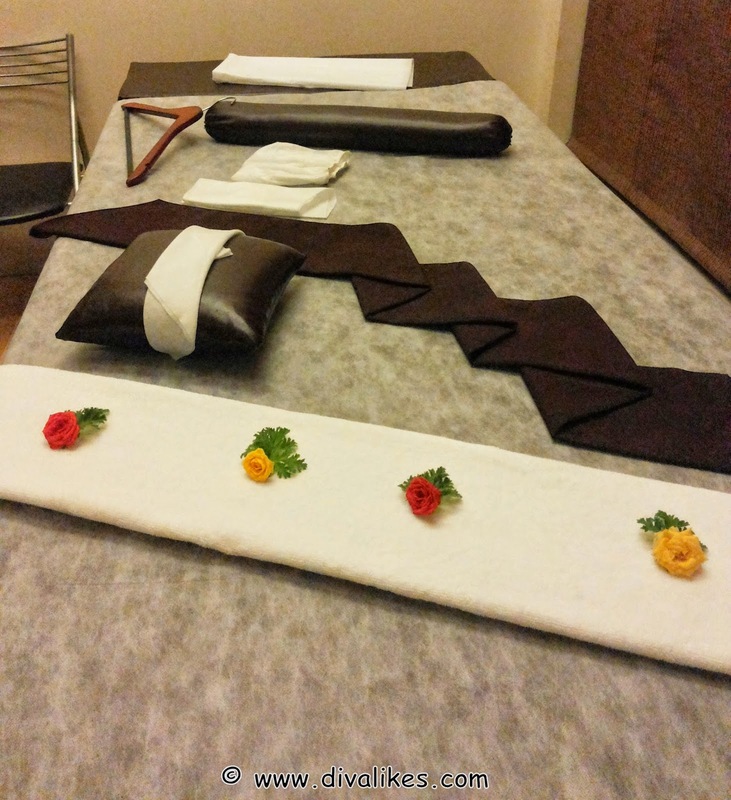 This is my third body spa experience in my entire life and a second oil body massage. 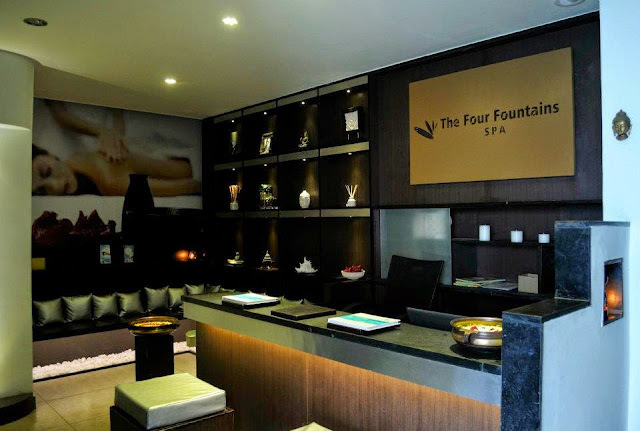 I totally loved my visit to The Four Fountains Spa. 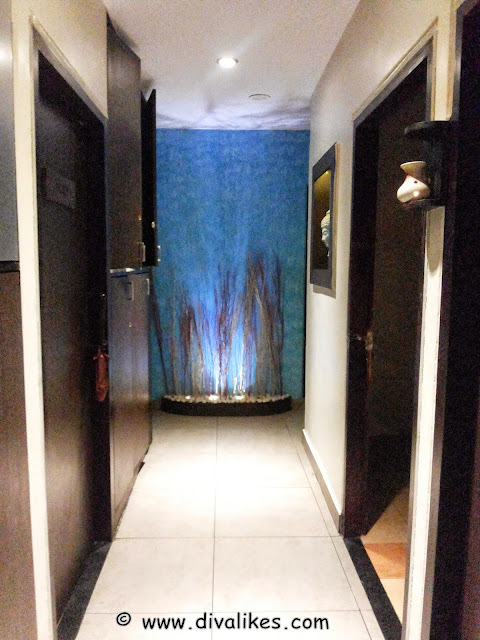 The ambience and the little message boards here and there, accompanied with the thoughtfully named therapy rooms is one of the best things I noticed in this spa. 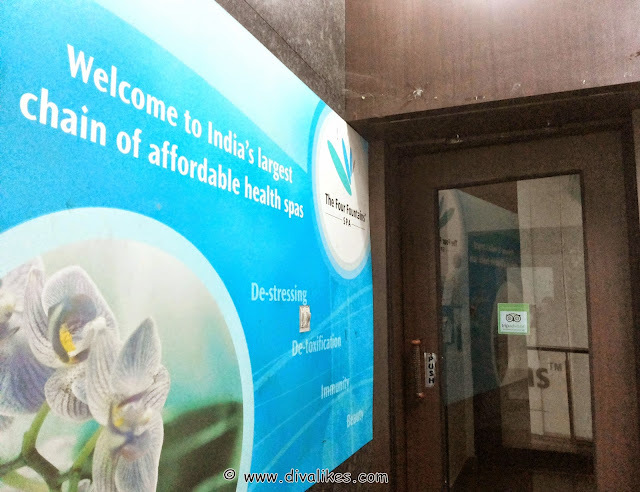 To top it, the highly helpful and courteous staffs raise the bar of this place. The only thing missing was a steam, sauna or jacuzzi facility, which if present would have exceeded my expectations. I was really benefited from my Aromatherapy Massage as I have noticed a healthy glow and softness in my body. 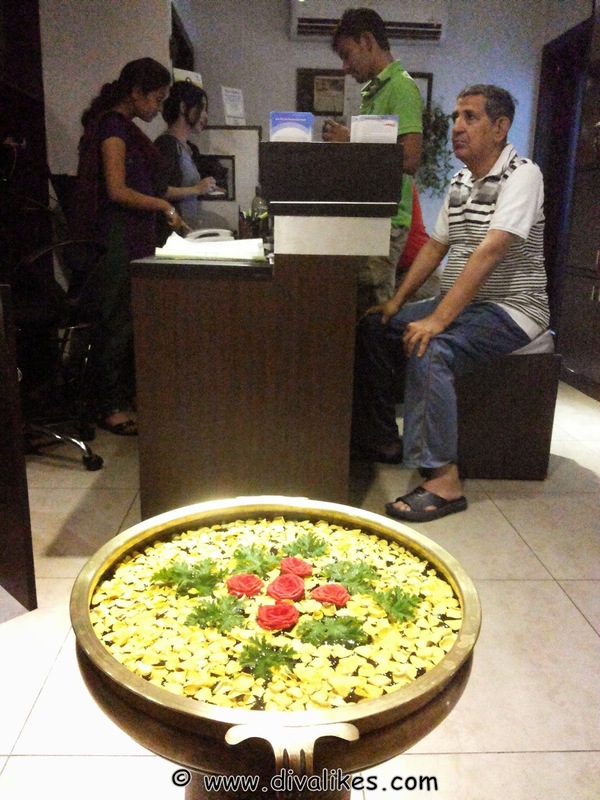 Overall, this is a great place to rejuvenate yourself with affordable massages and great variety of services. Did I mention they offer a lot of complimentary services to their regular customers? Yes, they do! This makes it definitely a must visit spa for everyone. 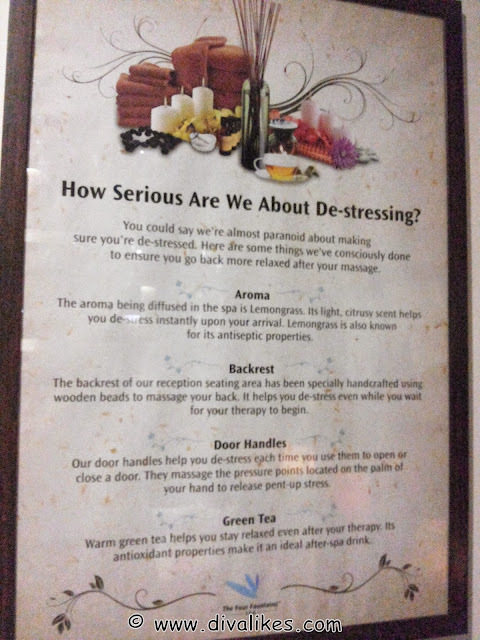 Way to go Four Fountains De-Stress Spa! Well described girl...each and every detail....and the spa feel is amazing! Excellent description. Loved it and can't say i am not a little envious right now!!! Great write up! I too loved my experience at the Four Fountain Spa!